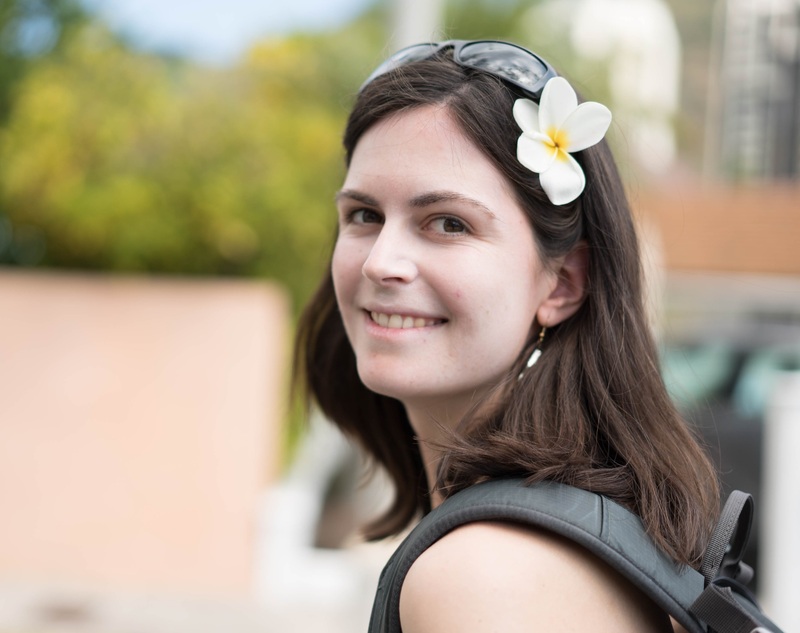 After three months of full-time travelling, we felt like we needed a break from being on the road to recharge our batteries and be able to fully enjoy our amazing trip. That’s how after backpacking through Hawaii, Japan and Hong Kong, we ended up spending a whole month in Ho Chi Minh City, where my brother lives. We then took two weeks to explore other parts of the country. Ho Chi Minh City is a very lively city, a city that never sleeps. I actually had some kind of love-hate relationship with it. I didn’t really enjoy the hustle and bustle of the big town, the hectic streets and the never-ending flow of motorbikes wherever you go. On the other hand, I understand why one would love it. There is a lot to do and most importantly to me, it is my brother’s home. Ho Chi Minh was also our starting point to visit the Mekong delta and Mui Ne. Where we stayed: since we stayed for a whole month in Ho Chi Minh, we wanted to have more than just a place to crash at night. We were lucky to find this clean, functional and welcoming Airbnb flat in a nice neighbourhood for $28 per night. 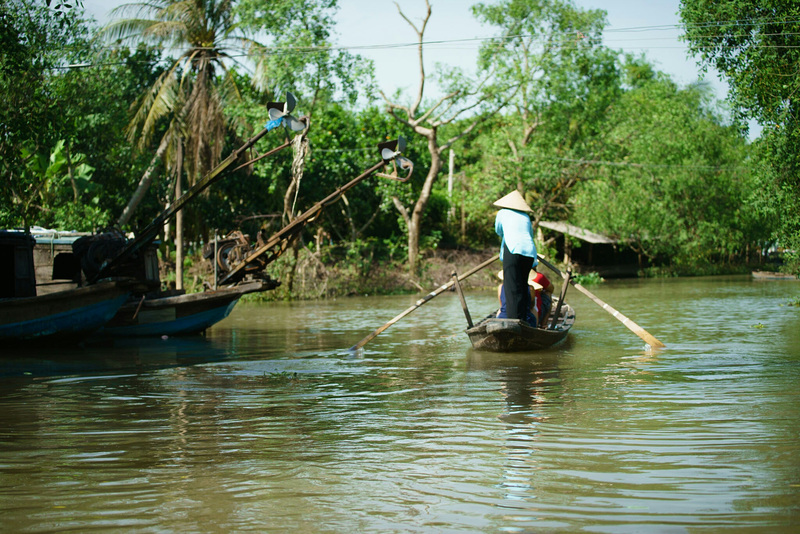 There are many places you can visit on the Mekong Delta. We went to An Binh island and it was some of the most relaxing couple of days. Our stay included some serious hammock time, a boat ride on the Mekong river, a hearty dinner with other travellers and a few visits to local places. How to get there: It took us a 3-hour bus ride to Vinh Long from Mien Tay bus station in Ho Chi Minh for 95,000 vnd per person (about $4.2). In Vinh Long, you can catch a taxi to get to the small boat that will take you to the island. Where we stayed: On my brother’s recommendation, we stayed at Ngoc Phuong homestay (about $15 per night). It must be one of the most peaceful places on earth, a big house with an open roof and walls made out of bricks and banana tree leaves. They had the most relaxing porch with hammocks and a garden with a small river. 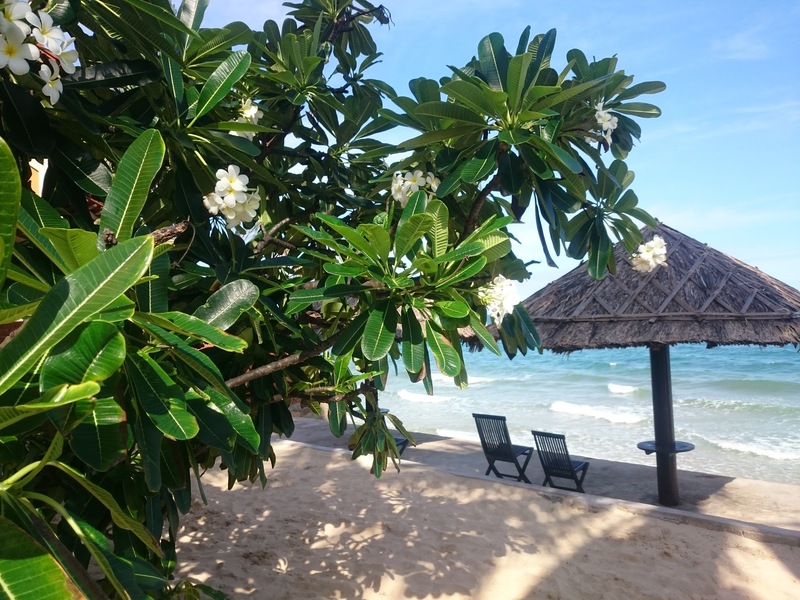 Mui Ne is located in South East Vietnam and it’s a real paradise. It is a small, quaint but touristic town that’s developing fast and I’m sure if we were to go back in a couple of years, it would look completely different. It’s the perfect destination to take a break from the big city of Ho Chi Minh. How to get there: It’s a 4-5h bus-trip from Mien Dong bus station in Ho Chi Minh to Phan Thiet. We paid 126,000 VND (about $5.5) per person in addition to a couple of dollars for a taxi to get to our hotel. Where we stayed: We found a room in a nice resort right by the ocean, the Riva Beach Resort, for $30 night. 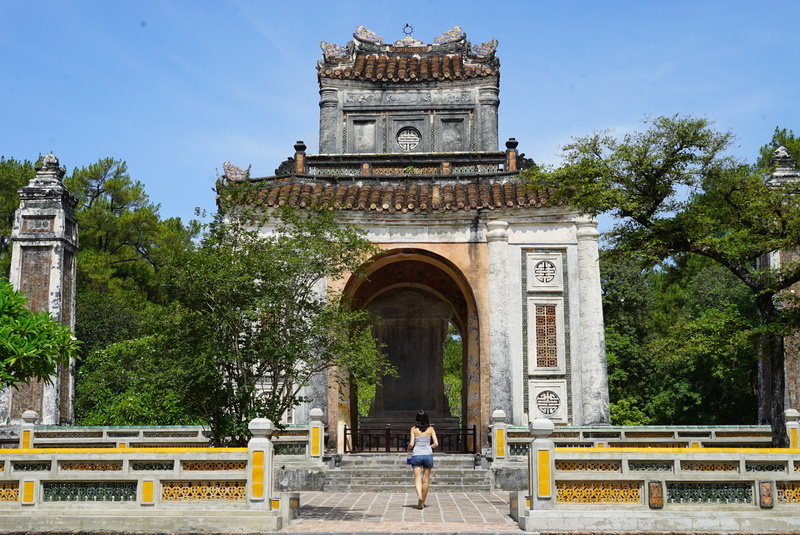 Hue was the imperial, then political capital of Vietnam until 1945 and thus played an important part in the country’s history. We had 3 full days there so we tried to see a bit of everything the city has to offer. We visited the famous citadel and tombs, enjoyed the cheapest meal we have ever had and relaxed on the beach. 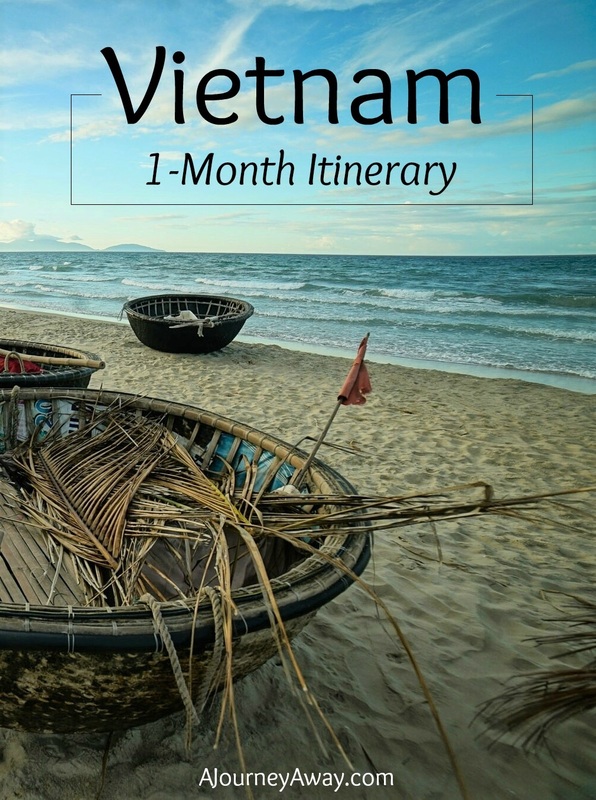 How to get there: We wanted to save ourselves from a painful long bus-ride and decided to spend a little extra for a flight from Ho Chi Minh to Hue for $53 per person. Where we stayed: we picked the Gold Hotel, a nice hotel where we spent $19 per night. They offer a great breakfast buffet but we definitely should have skipped the restaurants there. We spent 3 full days in this lovely city that won us over in seconds with its quaint and romantic atmosphere. Hoi an is a very small town, but the city and the area have enough to keep you busy for a few days. 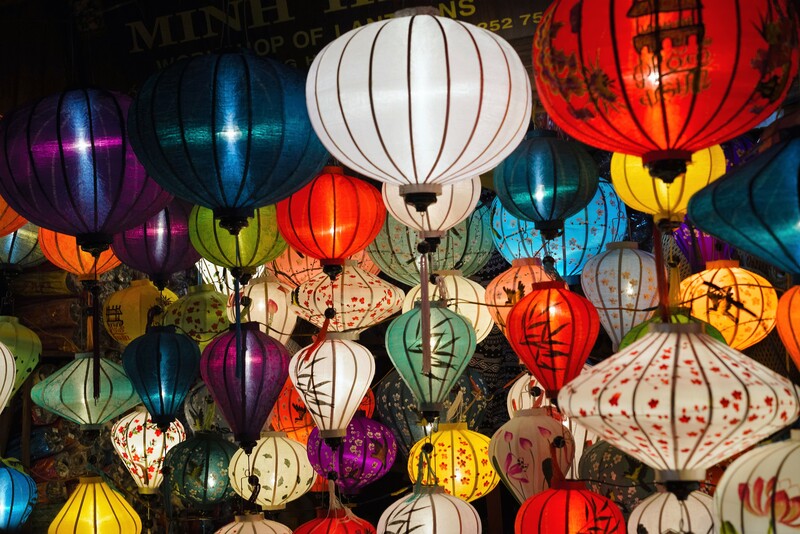 It is famous for its silk lanterns (probably the main reason why I wanted to go! ), but also for its shopping opportunities and nearby beaches. How to get there: We took a train from Hue to Da Nang for 72,000 vnd per person (about $3). A driver came to us when we got off the train and offered to take us to Hoi An for 350,000 vnd (about $15). A real taxi could actually cost a bit more. In hindsight, hopping in a common car with no meter was probably not a good idea and we were lucky that nothing bad happened. Where we stayed: We can recommend the Hoi An Sun Boat Hotel, located a short taxi-ride away from downtown for $23.5 per night. 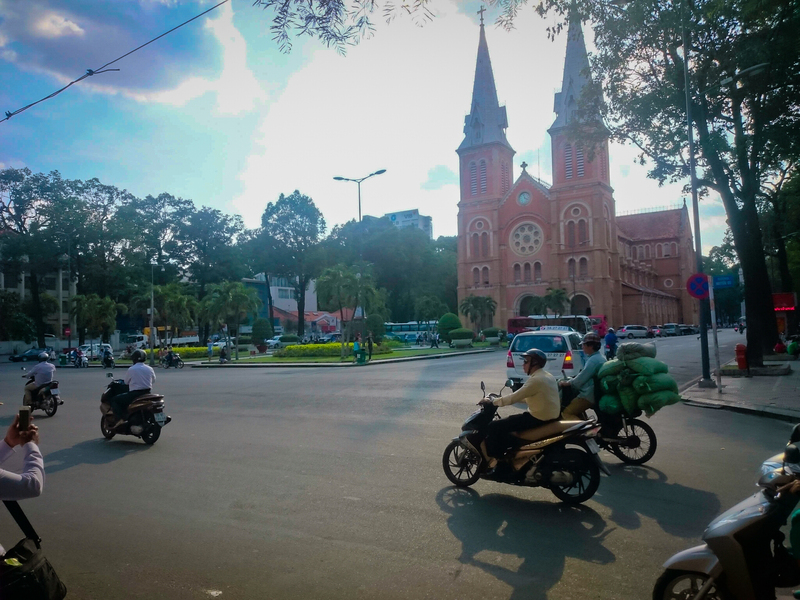 We enjoyed walking through the streets of downtown and discovering nice restaurants in Hanoi, but we were mainly in the city as a starting point to go see Tam Coc and Ha long Bay. 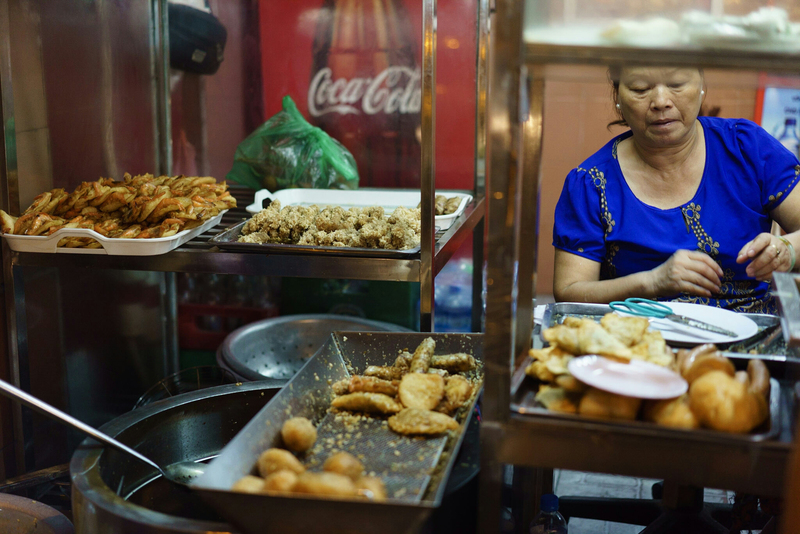 We did have time to take a wonderful street food tour with a great guide. How to get there: We took a taxi from Hoi An back to Da Nang and flew to Hanoi from there for $59 per person. Again at the airport, we were approached by a “private driver” charging less than a classic taxi. Although we did arrive at our hotel in one piece, we were afraid when the driver left the car to let a new one come in (twice). Where we stayed: We chose Hanoi City Palace Hotel for $21 a night which was fine and well located. We also stayed at Hanoi 3B homestay for $17 on our last night in the country and after our Ha Long Bay cruise. 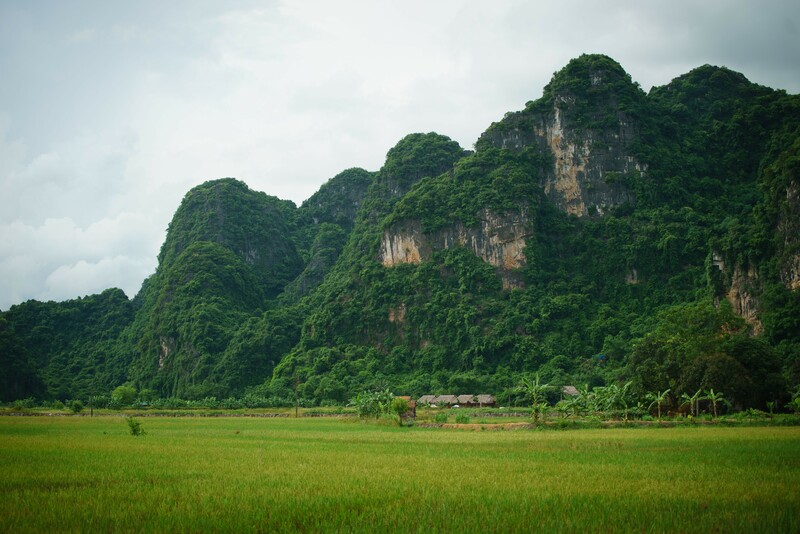 Tam Coc, the terrestrial Ha Long Bay is another destination that is perfect for nature lovers. We decided to take a day trip to explore it and we got the best bike ride out it. How to get there: We took the easy route and booked this day trip with our hotel which included pick-up and drop-off directly at the hotel. 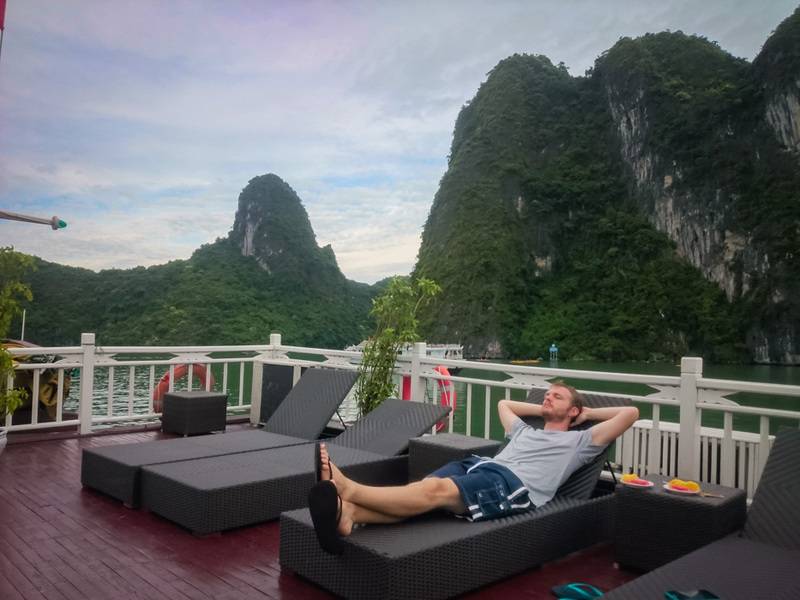 How to get there: We booked our cruise with Halong Bay Tours and paid an extra $10 per person to have pick-up and drop-off at our hotel in Hanoi. Where we stayed: We picked the two-night Phoenix cruise and were very happy about it. Those $424 were well spent! 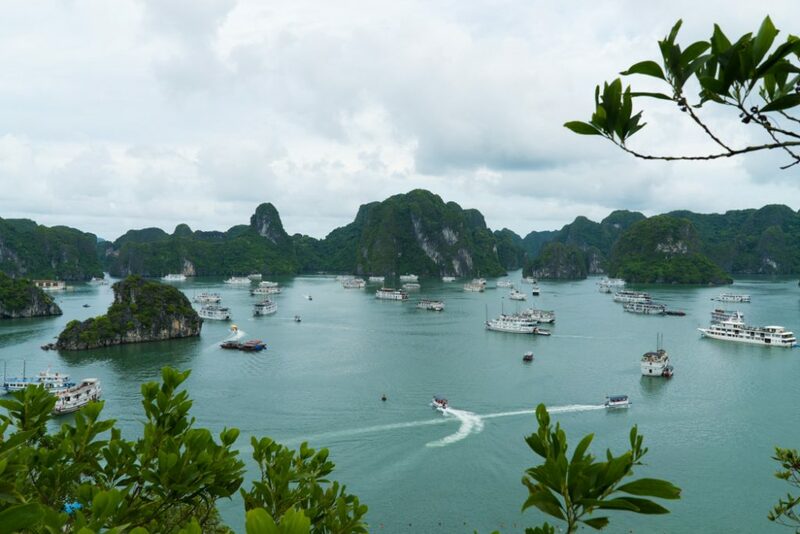 Read more: Two Nights In Ha Long Bay, Is It Worth It? Vietnam counts numerous gorgeous places and definitely has enough to keep you busy for weeks. If we ever have the opportunity to go again, we would love to take a trek to Sapa, in the North of the country, and to explore Phu Quoc island, off the Cambodian coast. Have you ever been to Vietnam? What is you favourite place there?